Today we take for granted the adage that “women’s rights are human rights.” It sounds obvious, perhaps even clichéd for feminists who have come of age after the long battle for its recognition was fought. Prior to the United Nations World Conference on Human Rights in Vienna in 1993, feminists around the world struggled hard for the mere recognition that violations of women’s rights – and particularly violence against women – were not simply private acts outside the purview of the state, but constituted violations of human rights under international law. Violence against women became a symbolic and unifying issue for global feminists in this effort to demonstrate that women’s rights are human rights. 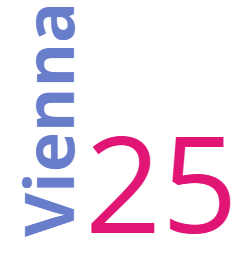 June 25, 2018 marks the 25th anniversary of the adoption of the Vienna Declaration and Programme of Action at that world conference, which clearly and unequivocally called for the recognition of women’s human rights at all levels and in all spheres. This month is also the 25th anniversary of the historic Global Tribunal on Violations of Women’s Human Rights, a day long public hearing on June 15 organized by the Global Campaign for Women’s Human Rights and coordinated by the Center for Women’s Global Leadership (CWGL). The tribunal aimed at demonstrating the daily reality of the abuse of women’s human rights. Women spoke bravely and publicly about the myriad forms of violence and discrimination that they faced because of their gender, making their abuse undeniably clear. The event captured the world’s attention and was a key driver for the recognition of women’s rights as human rights. It heralded an era of groundbreaking normative and institutional changes over decades that led to the expansion of the concept of gender-based violence and abuse in the public and private spheres. To commemorate this ground-breaking event, CWGL embarked on an archival project – Global Feminist Journeys – that documents and makes visible the decades of international feminist advocacy that helped to reshape human rights discourse and redefine global policy-making to include gender as an integral point of departure for all issues. The idea for this project emerged from a meeting organized by CWGL, assisted by Whose Knowledge?, that brought feminists together to discuss ways to preserve the historical memory of women’s rights activism. We invite you to explore this interactive timeline as it maps out key conferences, convenings, advocacy gains, and movement activism that advanced the rights of women in the international human rights arena between the years 1975 and 2000 – when women from around the world converged to strategize, build alliances, debate, confront governments, and hash out critical disagreements amongst themselves. It was in these spaces that the international movement for women’s human rights developed and matured into the political force it continues to be today as it faces on-going challenges. The timeline that we are launching now is not the whole story and a timeline cannot fully capture the richness and complexity of effective global advocacy. But it is a way to visualize important aspects of our shared history that we hope will serve as a starting point for the documentation of many more global feminist journeys. Center for Women’s Global Leadership bridges voices for human rights towards social justice and self-determination. We work at the intersection of gender, human rights and economic policy, when implementing strategies for transformation.